Düren, 08/04/2019 – As an innovative provider for functional packaging solutions, Sihl prioritises its commitment to the issue of sustainability and the production of recyclable materials. 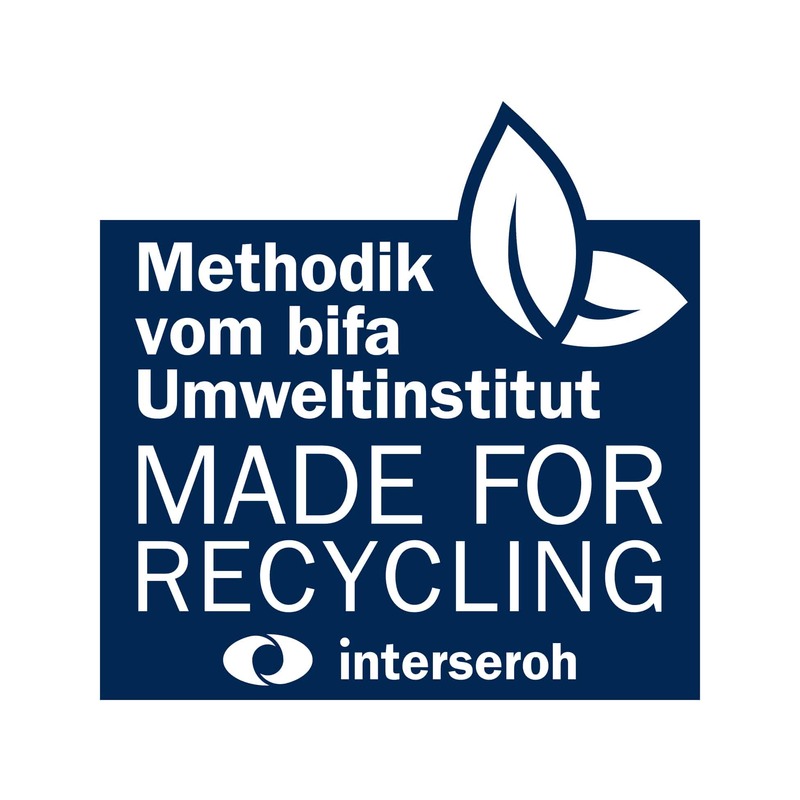 The independent auditing company Interseroh has confirmed the excellent recyclability of both single-material polypropylene films of packaging from Sihl’s ARTYSIO range with the ‘Made for Recycling’ certificate. Both products score a maximum 20 out of 20 possible points in the audit. Assignability to the collection system, sorting capability of packaging, suitability for material recycling and provision of secondary products to the collection system are assessed as part of the audit. With the top score, Sihl therefore presents the world‘s first ever fully recyclable packaging films for environmentally-friendly aqueous inkjet digital printing. The plastic films have strong barrier properties and excellent sealing properties. Sihl’s products can be used in many different printing machines for the vertical and horizontal form fill and seal production of different packaging formats. In ARTYSIO, Sihl combines a sustainable plastic-based material with high-quality, environmentally-friendly aqueous inkjet digital printing. The two products, designated ARTYSIO Packaging 5412 NW P&P PP DM HFFS 97 W and ARTYSIO Packaging 5413 NW P&P PP DM VFFS 97 W, are developed, like all other ARTYSIO packaging products, for direct contact with food. They therefore meet the legal GMP standards. With this outcome, Sihl contributes to reducing raw material and energy use in the production of new goods through the use of recycled material. As a recyclable material, ARTYSIO fulfils the basic product characteristic allowing it to return the reused material back into the materials cycle after the end of its lifespan, thus closing the materials cycle.